This square engagement ring is handmade, slightly irregular, lightly hammered & hand brushed, with a matt satin finish. a 9ct red gold square ring. 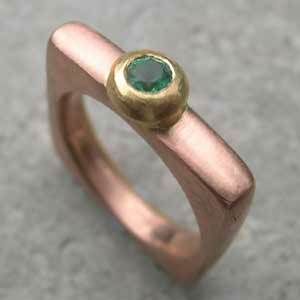 Our Engagement Rings are individually handmade to order. Allow 3-4 weeks.